A silver maple tree. Photo courtesy of North Dakota State Soil Conservation Committee. Acer saccharinum has been widely planted because of its beautiful leaves and the shade provided by spreading, irregular branches. The species is especially popular in urban areas due to the fast growth rate and its ability to survive in almost any soil conditions. However, the USDA no longer recommends planting the species ornamentally for a variety of reasons. Often, the tree grows much larger than anticipated. Brittle limbs tend to break in situations with high winds or ice accumulation, and the thin bark offers little protection from fire. Its shallow root system routinely invades plumbing or destroys sidewalks. 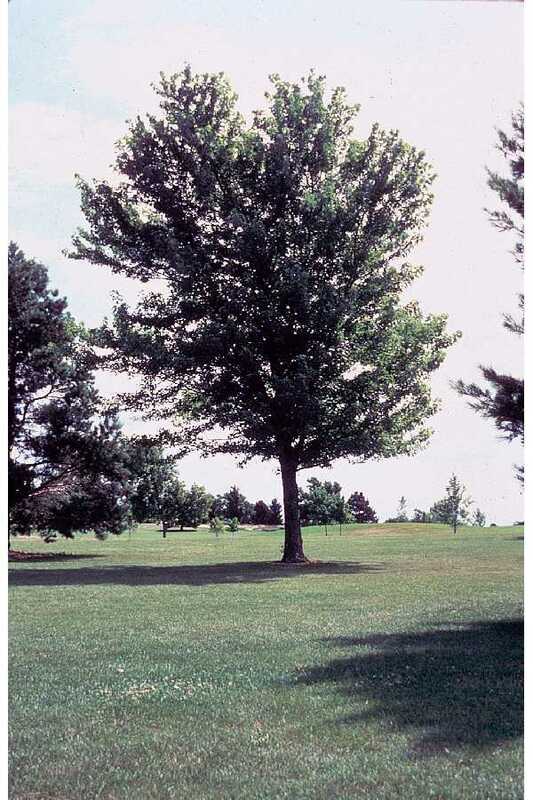 Many of these maples start producing abundant seeds at only 11 years of age, so “volunteer trees,” which sprout from the seeds of a planted ornamental tree, often spring up around them. The species is also susceptible damage from pests or wood rot. Though the presence of Acer saccharinum can be great for wildlife, care should be taken when considering it as an ornamental tree. “Maple Syrup Season” by Charles Rondeau. Silver maple wood is known for its even grain, light weight, and easiness to work with. 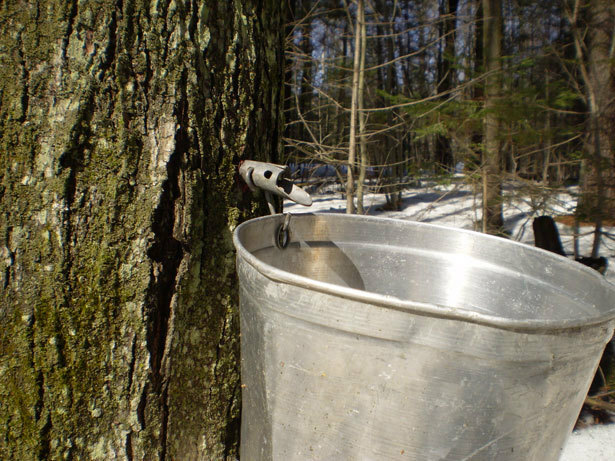 Along with red maple, it is sold as “soft maple.” As mentioned in the introduction, the aged heartwood of a silver maple tree is often marketed as “bird’s eye maple.” Poor growth sites yield wood that is good for pulp or cordwood. The wood from better sites is used for many household items—cabinets, musical instruments, and furniture as well as simple objects like tool handles or rails.